God has made us to be singers. In the Bible, He gives us over 400 references to singing and 50 direct commands to sing. Jesus is a singer. He led and sang hymns with his disciples on the eve of his crucifixion. The song of the redeemed is to be sung to the Redeemer! · The Holy Spirit makes our singing supernatural. · God instructs us to sing with our hearts—our emotional seat where feelings, thoughts, belief and values are forged together. · Our songs are to be God-honoring, God-directed and God-centered. God uses Scripture and heart songs uniquely for his children. Are you experiencing God through reading and meditating on the Bible and singing heart songs? · Heart songs help us to remember important biblical truths. · Heart songs help us to engage the heart and mind, stirring emotion and thought. 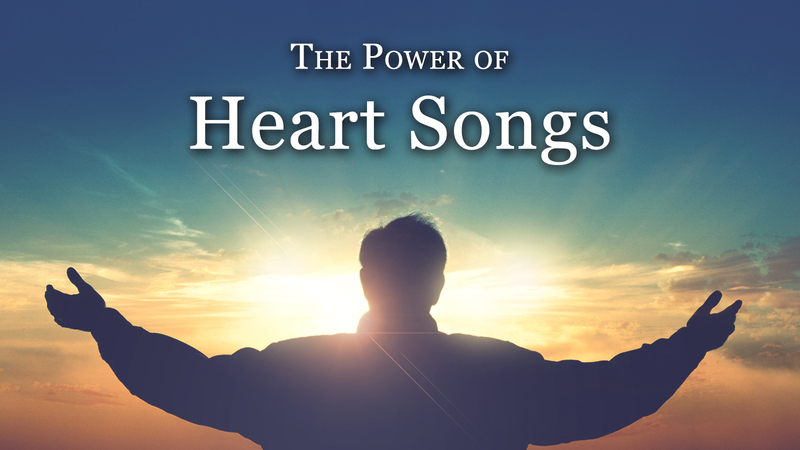 · Heart songs help us to be meditative on biblical principles and passages. · Heart songs help us to honor God and worship him.